Product information "Ultralite 500 UDP500 Drip Closure"
A simple minimalist Drip End Closure from Ultraframe for their industry leading Ultralite 500 conservatory roof system. 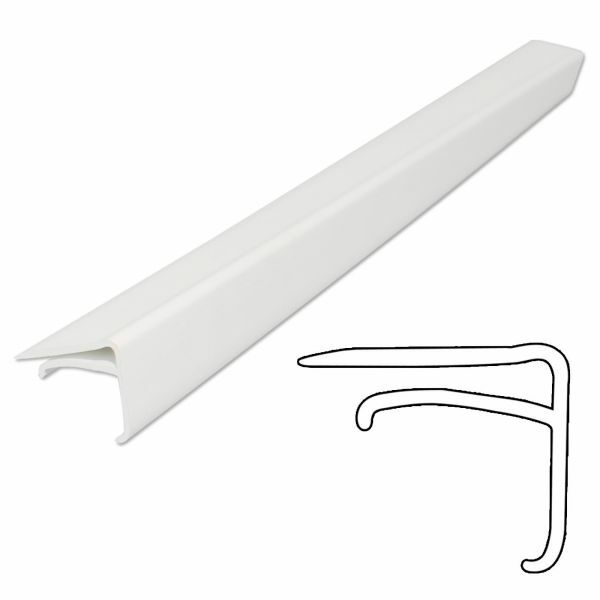 This strong, durable, white plastic drip end enclosure, is a genuine replacement part for an Ultralite 500 conservatory roof. The clever and simple design re-directs water over the front edge of the polycarbonate sheet to prevent water entering the polycarbonate chambers. Installing these are super simple - with no need for screws or fixings, as the drip just slides and clips onto the end of the polycarbonate sheet. Cut to length for you already, it takes seconds to install. Related links to "Ultralite 500 UDP500 Drip Closure"
Customer review for "Ultralite 500 UDP500 Drip Closure"